This second-generation sensor is no better than the first when it comes to detecting radon, but it will track other pollutants in your home's air, too. Winter is an excellent time to test your home’s radon levels. When you close your windows and doors and rev up your furnace, you create an ideal environment for pulling the naturally occurring gas up from the soil and trapping it indoors. It’s tantamount to inviting a killer into your home, as radon is the leading cause of lung cancer in the United States, according to the EPA. Only smoking is worse. Airthings has made raising awareness of and mitigating radon risks its mission. Its Wave air quality monitor was the first to provide real-time radon detection—a welcome alternative to the charcoal-based kits that require 90 days of testing and a lab analysis that was previously the only viable option. The Wave Plus builds on that product’s foundation with additional sensors for carbon dioxide and total volatile organic compounds (TVOCs). 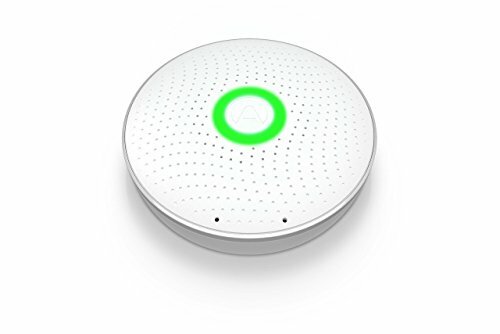 The Wave Plus looks virtually identical to the Wave: It’s a smoke-detector sized disc with a light ring that glows green, yellow, or red when you wave your hand in front of it. The colors indicate the current air quality status. A pair of AA batteries are preinstalled in the unit, so all you need to do is remove a battery tab and launch the Wave companion app to start the pairing process. I initially tried to pair it using the Android version of the app, but after seemingly completing the process, the app looped back to the beginning of the setup wizard. Following several more attempts with same frustrating results, I switched to the iOS app and it paired on the first try. The Wave Plus looks similar to the original Wave, but Airthings has added sensors for CO2, TVOCs, and air pressure. The magnetic lid on the battery compartment on the back of the Wave Plus doubles as a mounting bracket. To mount the Wave Plus to a wall or ceiling, you just remove it, attach it to the whichever surface with the supplied screw, and then snap the unit onto it. 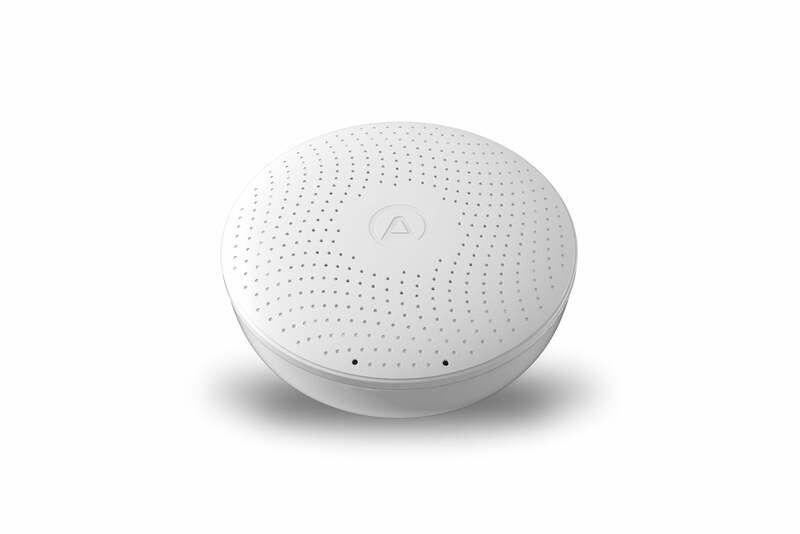 To produce the most accurate readings, Airthings advises installing the sensor at least three feet from windows or vents. It takes about an hour after setup to get your first radon reading—the app provides a countdown timer—and about a week for radon detection to fully calibrate. Once it does, you can get a quick air-quality status by waving your hand in front the unit. Your air quality is “good” if the indicator ring glows green. If it glows yellow, the air quality is approaching maximum recommended levels, so you should let in some fresh air and continue monitoring. Red indicates one or more sensors is detecting high levels and you should check the app for more details. The app updates with the latest data whenever your phone is within 30 to 50 feet of the Wave Plus detector and its Bluetooth radio is on. The app’s main screen prominently displays the same ring-style air-quality indicator as the unit. Readings for the radon, TVOC, and carbon dioxide levels appear below that, along with the current temperature, humidity, and barometric pressure. My home had high CO2 levels, the result of the family being housebound for days when the Bay Area was blanketed with wildfire smoke. 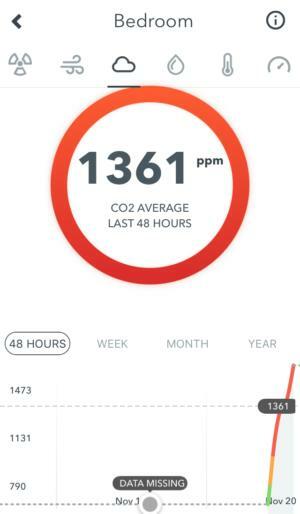 Swiping to the right lets you look at historical data—the last 48 hours, week, month, or year—for each of these air-quality elements in turn. You can also view this data from any web browser by logging into the Airthings dashboard using the same credentials used in the app. The main advantage here is you can review readings from multiple devices/rooms at once and export the data as a CSV file. 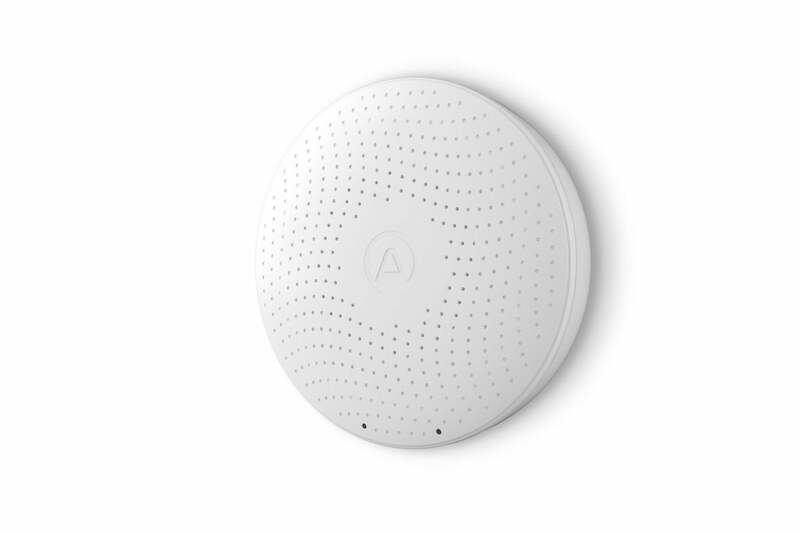 Additionally, you can add a tile that uses your device’s location to display outdoor air-quality data for a more comprehensive understanding of your indoor readings. While the Wave Plus indicated my home’s radon levels were low during my testing, my home’s overall air quality was poor. It was skewed because of abnormally high CO2. I later deduced—partly with the help of the outdoor-air quality data on the Airthings dashboard—this was because my family had been sealed up in the house for the better part of a week due to the smoke spilling into the Bay Area from the Northern California wildfires. My home was in dire need of an infusion of fresh air. In the interim since we reviewed the original Wave, Airthings added IFTTT integration that can be applied to both it and the Wave Plus. Some of the baker’s dozen applets are undeniably useful: “Send SMS when radon level rises,” “Turn my hue lights red when radon is high.” Others are more for fun: "Tweet your good radon levels." There also are applets that notify you when the temperature gets too cold, CO2 levels get too high, or the air gets too dry. Despite their grandiose health claims, most indoor air-quality monitors are better equipped to help optimize your comfort than your safety. The Airthings Wave Plus, like the original Wave, is an exception. The science is clear there is no “safe” level of radon exposure, and high levels over time can have perilous health effects. Real-time detection can help you stay abreast of the levels in your home and engage mitigation services, if necessary, before any damage is done. That said, the Wave Plus doesn’t improve on the radon detection or reporting of the original Wave. What you’re paying for are the additional sensors, for CO2, TVOCs, and air pressure. It’s true that monitoring these levels can help you manage environmental changes that can make you susceptible to colds, headaches and other minor afflictions, so if those are important concerns the $269 for the Wave Plus may be money well spent. If you’re mainly interested in radon detection, though, you can save significantly by purchasing the original Wave, which is currently priced more than $100 less than the Wave Plus on Amazon. The Airthings Wave Plus offers real-time radon detection in an all-purpose air-quality monitor.